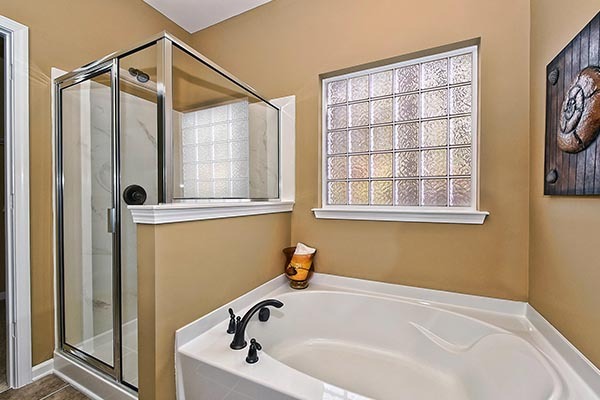 April 16, 2015 - PENSACOLA, FLA - Builders looking to offer new homebuyers privacy in the home are turning to acrylic block and decorative glass windows. Experts at Hy-Lite report that sales of privacy windows are increasing steadily as builders rely on the unique windows to meet homeowners' demands for privacy. "Whether it's a bathroom setting that demands the ultimate in privacy or a kitchen that overlooks a neighbor's ugly garage, privacy windows have become the solution for builders," says Roger Murphy, president of Hy-Lite, a U.S. Block Windows Company. "There are two specific reasons we're seeing why builders are increasing their use of specialty windows. "The first is to set their homes apart with unique, personalized windows in the home that new home buyers can get excited about; that creates a desire for sales. The second is because home lots are getting closer and closer in some geographic areas --- and builders want to create secluded home spaces. Decorative glass and acrylic block windows solve both these needs." "Eastwood Homes returns to using Hy-Lite products because the windows are an attractive and affordable feature which allows our buyers to enjoy privacy in their master bathrooms while still taking advantage of the natural sunlight," says Justin Myers, corporate vice president of operations for Eastwood Homes. "The Hy-Lite windows are much more attractive than other alternatives for adding privacy to a large window over a soaking bathtub. "Across our six divisions, Eastwood Homes uses Hy-Lite products in approximately 200 homes annually as an option in our deluxe master bathrooms." Hy-Lite, a U.S. Block Windows Company, is the leading manufacturer of acrylic block, glass block and decorative glass windows. The company's privacy product options include acrylic block shutters, accent panels, radius walls, partition walls, door inserts and shower walls. Since 1988, the Pensacola, Florida-based company has been committed to providing residential and commercial construction professionals and homeowners with elegant, affordable privacy window designs.